I do not know if this is a glitch but it has worked for me this year and last. Click on travel insurance and select the options for a quote. Click through the link as if you are going to buy some insurance. Make sure you add your email address because you need to sign up. Just add the travel company name but you don't need to actually enter the policy number because you can click claim without and it will be accepted. Page not found error after clicking on link above. I had that problem for a while, until I eventually realised its the affiliate link part on the end thats messing it up. Thanks. I have seen this for £1.01 and kept meaning to do it but never got round to it, glad I didn't now. Worked in the end. Had a few issues at first, took a few tries to realise what I was doing wrong. Had to actually click on a company as if going to buy, not just see list before it would let me try and claim reward. Need to go to sign in then click to register for an account and enter email address used, open the email to finish setting up account and add password. Your rewards link doesn't work, seems to be an affiliate link, once I realised and deleted all the affiliate stuff from the end it was ok. I must be thick, do you have to actually get a quote Inc entering details …I must be thick, do you have to actually get a quote Inc entering details etc. I thought the OP said just to add the company name. Can some give me a brief idiots guide step through please. 1) Get a new quote, enter all details asked for. 2) On the quote list, select any insurer and click 'go to provider'. 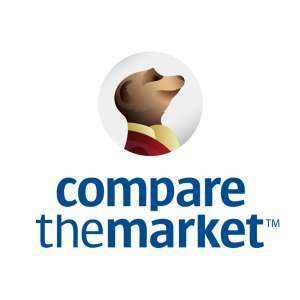 3) Close all Comparethemarket tabs in your browser. 5) Choose the quote you just created, then press 'brand not listed' and proceed. That's it, you'll have a year for free. Sorry if this has been posted before. I wasn't aware of it until last year when I just tried it. Thank you... I was unaware!! Go it to work this time. Thanks for explanation, it helped. This is the first time I've seen it posted for free, it's usually for something like £1.01, which is still worth it. If it was so widely known to be available for free I'm not sure why the previous deals for £1.01 would have got so hot. Just did a search out of curiosity and I couldn't see it previously for free. Cheers OP. Membership didn't run out till June but thought I'd renew anyways! You can use it every week Tuesday or Wednesday for a year. Can't get it work for free. Can you please noob it out and which travel company name are using?? Not that I'm aware of. It's worked for me all year. Can't get it work for free. Can you please noob it out and which travel …Can't get it work for free. Can you please noob it out and which travel company name are using?? Worked mate. Cheers for that. Nice one, wasn’t aware of this so just done it. Followed @r55 instructions and then used the link from @frizzyhead to claim reward. This is the first time I've seen it posted for free, it's usually for …This is the first time I've seen it posted for free, it's usually for something like £1.01, which is still worth it. If it was so widely known to be available for free I'm not sure why the previous deals for £1.01 would have got so hot. Just did a search out of curiosity and I couldn't see it previously for free. Previously you could put ers and a random 4 digit code, I actually bought a legit one last year as I had a trip for a wedding, mine runs out soon tho. Can a moderator please fix the link in the post ? Will it not let you edit it yourself? Not sure why but your post was deleted and disappeared for a while, seems to have magically reappeared! I'll add it as additional info in the meantime, easier to see than going through comments, hope you don't mind. Will it not let you edit it yourself? Not sure why but your post was …Will it not let you edit it yourself? Not sure why but your post was deleted and disappeared for a while, seems to have magically reappeared! I'll add it as additional info in the meantime, easier to see than going through comments, hope you don't mind. Cheers OP. Membership didn't run out till June but thought I'd renew …Cheers OP. Membership didn't run out till June but thought I'd renew anyways! Can this be added to what you have left as mine expires August. No trouble. Sometimes I've been able te edit my own posts, but other times it won't let me. Maybe a mod has already edited it earlier. When I've noticed a photo or something has been changed it stops you from making changes, but if nothing changed I can usually edit it. it can be added, however it seems to overide the previous membership. When I did it, my new expiry is March 26 2020. A previous comment said theirs didn't run out until June and they were going to renew it, but unsure whether they actually meant they had renewed the same account, or just created a new one with a new email address. If you can't it would be worth just making a new account to start now, wouldn't run out until March 2020. A previous comment said theirs didn't run out until June and they were …A previous comment said theirs didn't run out until June and they were going to renew it, but unsure whether they actually meant they had renewed the same account, or just created a new one with a new email address. If you can't it would be worth just making a new account to start now, wouldn't run out until March 2020.
it can be added, however it seems to ovveride the previous membership. …it can be added, however it seems to ovveride the previous membership. When I did it, my new expiry is March 26 2020. Does it not let you click on 'Brand Not Named' to select? When I click on rewards it says the quote and then below it says "Brand not shown" doesn't let me select a provider ?